Vuff's adjustable dog collar and strong dog leash are designed to work, feel, and—maybe most importantly—smell better. A braided monofilament plastic is the foundation for both pup must-haves that are made in Newburgh, New York. This material repels odors and stains and won’t harbor dirt or moisture. If your dog gets dirty (or make that, when your dog gets dirty), just rinse the collar and leash under water. 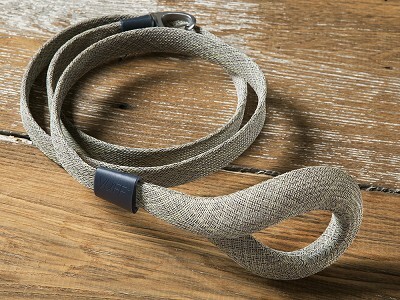 The leash has a unique handle that works with motion to eliminate friction and pulling on your hand. 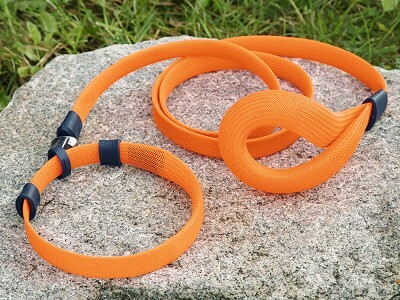 And the collar’s fixed-loop design adjusts easily and stays put with a locking closure. 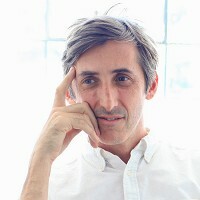 Maker and designer Aaron Lown has a passion for materials as well as for his own dog, Starlite. Monofilament plastic has many industrial applications but Aaron saw its potential as an alternative to typical canine staples. The material’s open weave makes it flexible and breathable and it feels ultra-lightweight and responsive. It tenses when it’s pulled on, but when it is slack it feels barely-there. 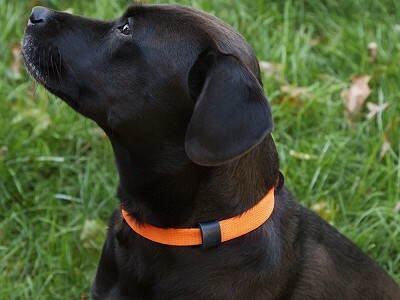 Aaron’s out-of-the-box approach to traditional collars and leashes is strong enough to keep up with active dogs and amps up the comfort for them and their owners. What size dogs are these collars best suited for? 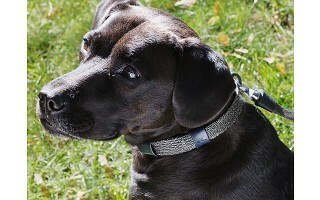 The collar is uniquely designed to be adjustable to fit most medium- to XL-sized dogs, from Beagles to Great Danes. The collars are not designed for very small dogs under 15 pounds. The collar adjusts from 4" at smallest diameter and expands to 8" diameter at its largest. 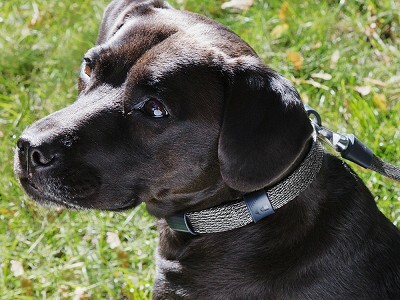 This collar fits dogs' necks measuring 12"-22” around (circumference). How long is the dog leash? The leash is five feet long.